New York readers we have another fabulous opportunity for you! Opening this week is I Am Singh and we have tickets available for an early screening. 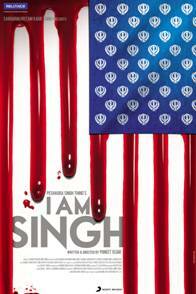 Veteran Bollywood actor, filmmaker, and activist Puneet Issar tackles the controversial topic of discrimination and violence against innocent Sikh Americans in the post-9/11 world in the political thriller I AM SINGH which opens in 50 theaters across North America on December 2. Examining human rights issues for Indians living in the U.S., the film also features new music from award-winning artists such as Daler Mehndi and Sukhwinder Singh. I AM SINGH portrays the trials and tribulations of men whose stories were never highlighted. After the 9/11 tragedy in America, the Sikhs were targeted all over and were the victims of mistaken identity. The film highlights what happened to few such people and their fight against it, never losing the faith in the American judicial system. This story is about a young Sikh named Ranveer Singh, a young, confident man settled in India. Ranveer’s elder brothers are citizens of America. Ranveer’s life takes a turn when he receives a call and he comes to know that one of his brothers is dead, his father is seriously injured and his other brother is missing. The cause of this is unknown. Ranveer is in a dilemma and immediately leaves for the US. He doesn’t know what is in store for him. Ranveer reaches the US and tries to find out what actually happened to his family. He doesn’t get the right answers. Further, he is more shocked and confused with the situation. However, something keeps telling him that there is more to the whole incident, what seems on the face is not the fact, the fact remains a mystery to him. Then, Ranveer meets a Pakistani, Rizwan Haider, who now is an American citizen. Rizwan tells him what actually had happened on that day. Ranveer seeks the local authorities help, but does not get any support. He realizes that he has to fight this battle on his own. As luck would have it, he meets another local citizen, a Sikh named Fateh Singh who is a police officer in the LAPD. Fateh Singh guides him on which path to choose and introduces him to Amelia White, an American human rights activist and an attorney. Amy Washington, an American Senior Attorney, further fights the case. Together they fight the battle of equality and justice for everyone in the true American spirit. A spirit rekindled by a man called ‘SINGH’. Who directed I AM Singh?